Cabin filters basically clean the air that comes into your vehicle through the heating, ventilation outlets and the air conditioning system. They are designed to reduce the amount of harmful contaminants such as dust, pollen, smog and other airborne particles before they enter the vehicle, providing cleaner breathing air for you and your passengers. This is especially important if you suffer from allergies such as hay fever or respiratory problems like asthma. 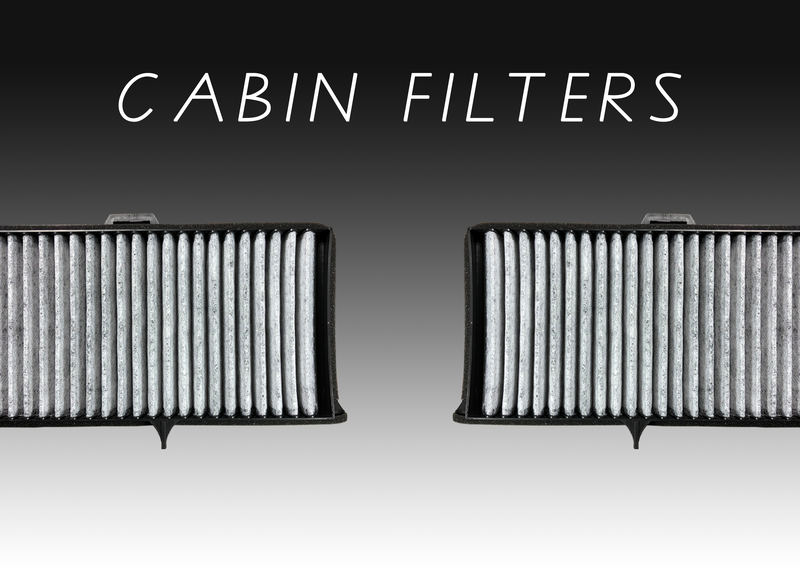 Cabin filters are recommended to be replaced every 15,000km’s or at least once a year, however this can vary depending on the type of environment you typically drive in. If you spend the majority of time driving in areas with a higher rate of air pollution or an area which has a lot of dust such as the more rural areas of Australia you may need to change them more often to ensure they remain effective. Signs you need to change your cabin filters are a constant bad odour coming from the vents in your car and a noise not usually heard when you turn on your heating or cooling accompanied by a decreased flow of air. A visual inspection can also be used to determine if you need a new one. If it needs to be replaced the area which comes in contact with the incoming air will literally be covered with anything ranging from soot and grime to bugs, leaves and twigs. Continuing to drive with clogged or dirty cabin filters not only puts your health at risk as the air you’re breathing may not been clear from contaminants but the decreased airflow can potentially cause interior problems with the heating/cooling system. At Unique Auto Parts we carry a large range of cabin filters to suit your Mercedes Benz, BMW, Volkswagen, Audi, Seat, Skoda, Porsche, Renault, Peugeot, Mini, Citroen or Volvo.